Coming back to the point- how does one get from India to Cambodia? Allow me to explain. I hope to clear all doubts through this post, but if you have any queries please feel free to reach out to me on Instagram or email- dumbbellsanddrama@gmail.com – Email works better than IG DMs, I am known for replying to DMs after DAYS. Sorry about that. We flew down from Mumbai to Siem Reap via Singapore Airlines. 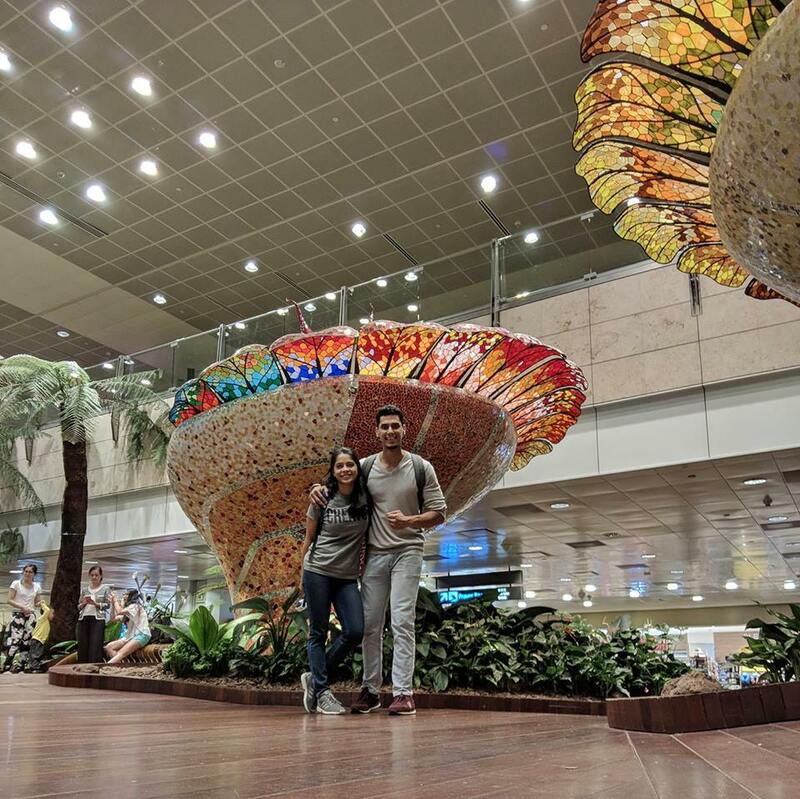 There are a lot of other airlines that operate too, but at a good deal, and minimum flying hours, Singapore Airlines worked out just fine for us. The meals are taken care of, transit is easy, the flights are comfortable and the hospitality will win you over. I’d choose them even if it meant paying Rs.10,000 more per person. We had the option of flying into Phnom Penh too, but the flights are more expensive, and internal travel to the country will then be messed up because Phnom Penh falls in the middle, so if you wish to go to the islands and Angkor Wat, you’d have to travel in opposite directions. So it’s easier to take a linear path if you wish to cover the entire country: Siem Reap- Phnom Penh- Sihanoukville. You start from Siem Reap, then head to Phnom Penh by road- the bus tickets cost 11-15 US Dollars. This takes 4-5 hours. From Phnom Penh, you head to Sihanoukville by road.The cost of travel is almost the same. This takes 5-6 hours. 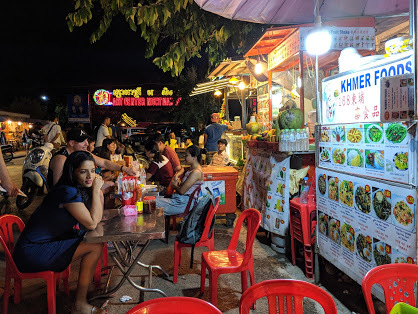 From Sihanoukville you have boat transfers to the islands, and once you’re done you head back to India from Sihanoukville itself (yes, it has an international airport) Advantages- saves money! And this leaves you with time to spend half a day more in the cities. Disadvantages- if you’re stuck on the island due to any reason, there is a high chance of missing your flight. Book something later in the evening or at night, but that would mean spending an entire day at the airport. We did this, we also had a storm on the island but thankfully it cleared out by the time we wished to leave, so reaching the airport at 10am and waiting till 1pm wasn’t that bad an idea. You start from Siem Reap, the head to Sihanoukville and the islands either by road (this would now be an overnight journey) or via flight. Please note that the cost would significantly improve. From the islands, you travel to Phnom Penh by road. You then fly out from Phnom Penh to India. Advantages- you do not have any fear of missing your flight. Plus an overnight journey means you save on hotel costs. Disadvantages- you definitely end up spending more. Taking a bus journey at night would be unsafe; the driving could get rash and I couldn’t really trust the roads. How many days must one spend at each place? For Phnom Penh, I’d suggest 2 nights. I didn’t really find too many things to do here, except for the usual touristy things you’d find online. Take a day to see the markets, museums, palaces. 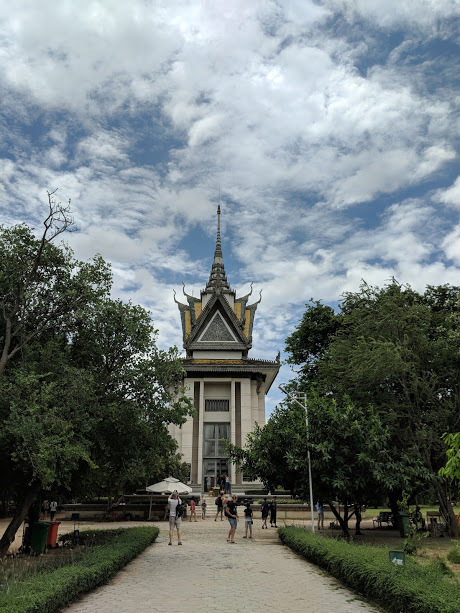 The next day can be spent on a day trip to the Killing Field and genocide museum, and end it with a river cruise. 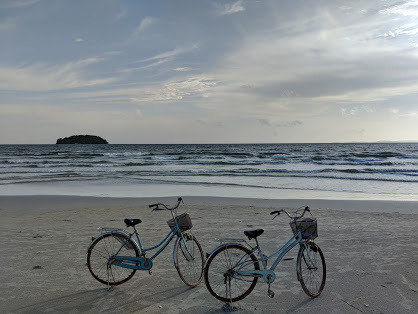 Sihanoukville is a coastal town that is busy and crowded, you’d want to head to the islands OR to the quieter part- Otres. Spend a night in Otres, if not 2. There really isn’t much to do here except for lazing at the beach and enjoying cocktails at the bars. I’d suggest one night, after which you can head to the islands for 2 nights. We stayed at Otres at this place called Oasis in Otres, this super cute hotel managed by a lovely Syrian family, where we bonded over good food and stories of the war. Meeting such a humble, grateful family was one of the highlights of this trip. I am going to dedicate one article just to them, I promise. Even though there isn’t much to do on the islands, you need at least 2 nights to really feel the island life, you know what I mean? Koh Rong is a popular destination, but you can always weigh your options once at Sihanoukville. Not expensive at all! Draft beer costs 50 cents (YES!) A bottled beer would cost 3USD, a cocktail costs 4USD and thanks to Happy Hours, you can enjoy 1+1 and have 2 drinks in 4USD. Street food is super affordable too. A plate of rice or noodles can cost anywhere between 1,5USD to 4 USD. Food at fine restaurants would cost 5-7USD while those at bars and shacks cost 3-4USD. 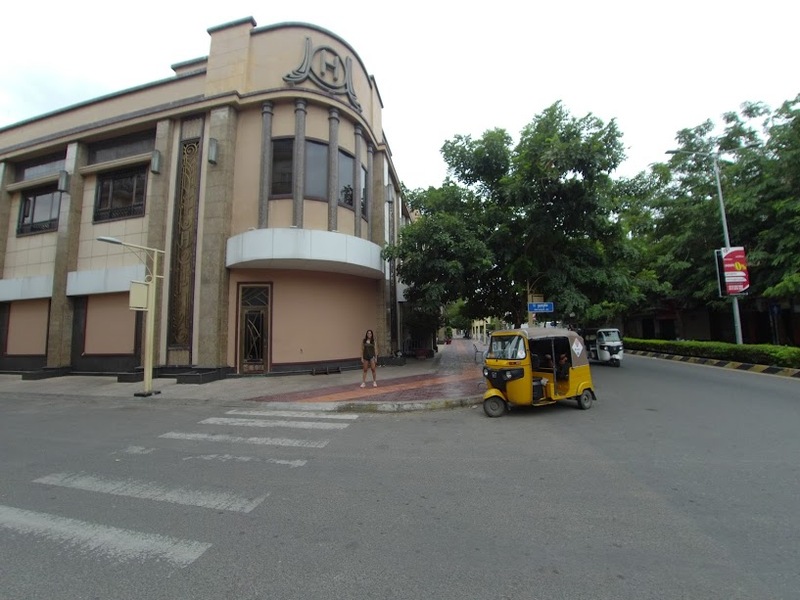 Staying in hotels and hostels is affordable – you’d spend around 800INR for a private room in a hostel, and around 1200INR fora room in a hotel. Traveling is the only thing that is expensive- a distance of 3km can cost 1USD, a trip to a place 10km might cost 15USD but you can always bargain. 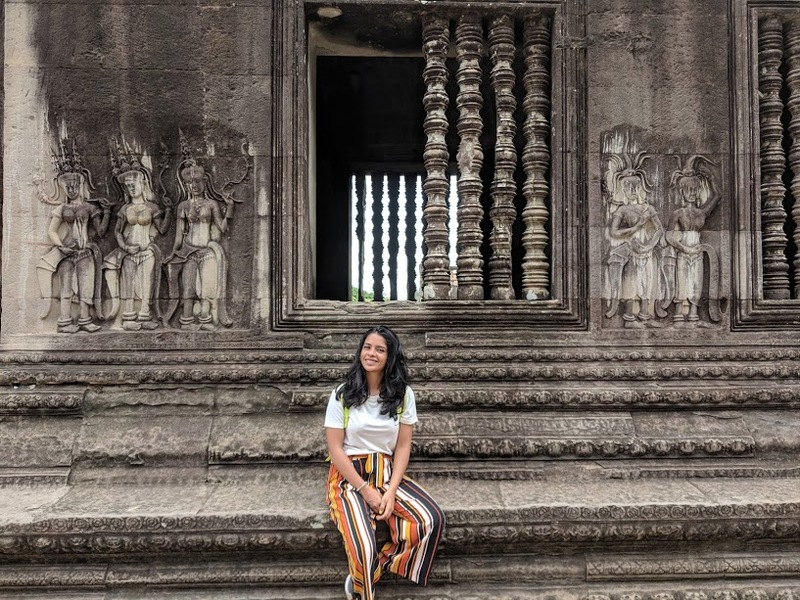 If you’re flying back to India from Phnom Penh, you shouldn’t find it difficult to get connecting flights, but be prepared to pay a hefty price and travel for 12-15hours if not more. If you’re flying from Sihanoukville, MAKE SURE you book connecting flights right till you home town (and do not do what I did- I booked a separate PNR and ended up in a huge mess. Shall write a story about it lol. But for those curious- long story short, my luggage reached me 3 days after I got home) Another thing you need to note while flying out from Sihanoukville- if you are at the islands, take a flight that leaves in the second half of the day. Also, be prepared to travel fro 15hours at least, with 3-4 layovers. I hope I have answered most of your questions. But if you have anything more to ask, please feel forward to reach out! 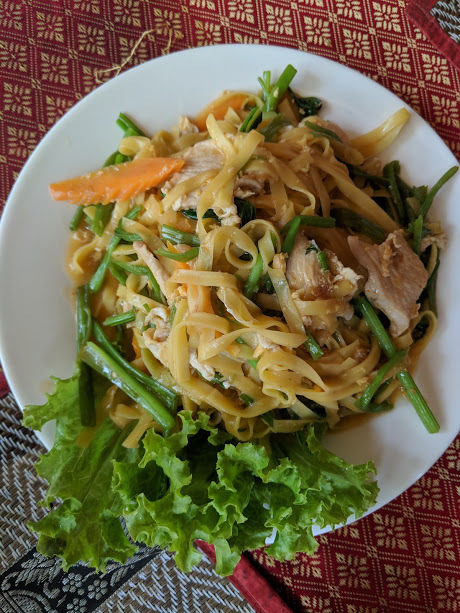 My next post will talk about WHAT to do when in Siem Reap, Phnom Penh and Sihanoukville, so stay tuned :) Once again, thank you so much for inspiring me to write this blog post. Really appreciate your interest in what I have to share.